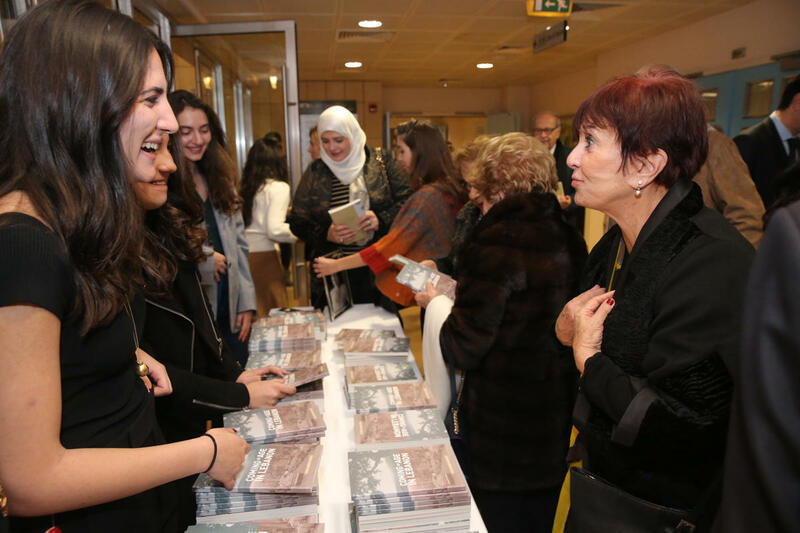 Late alumna Lamia Sabbah Ali-Ahmed was remembered at a special event where academics discussed and distributed copies of her thesis. 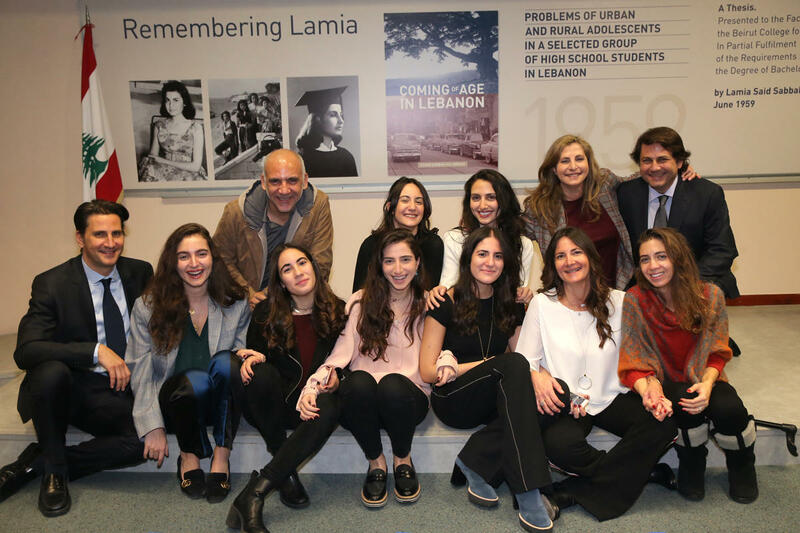 Family and friends of Lamia Sabbah Ali-Ahmed commemorate the event with photos of the alumna and the cover of her thesis in the background. Dr. Sarouphim-McGill highlighted the relevance of Ali-Ahmed’s thesis to this day. 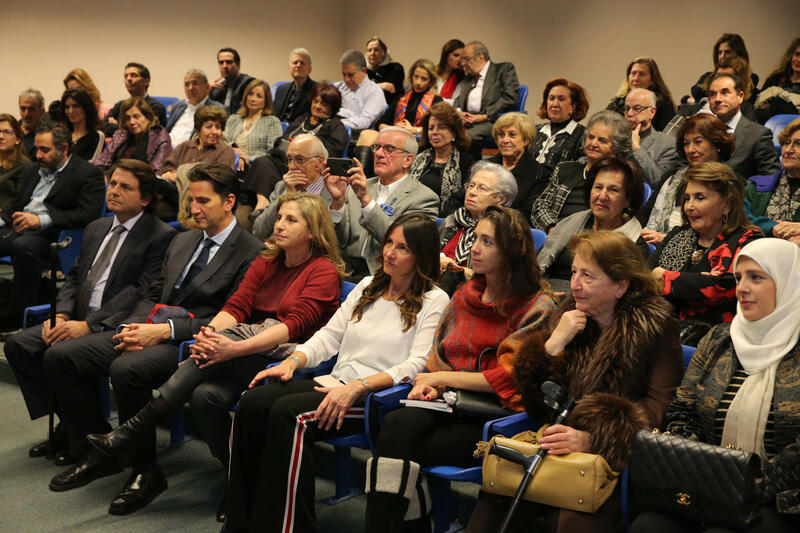 Ali-Ahmed’s children (front row from left) Fadi, Rani, Rania and Rim, who brought her thesis to light. 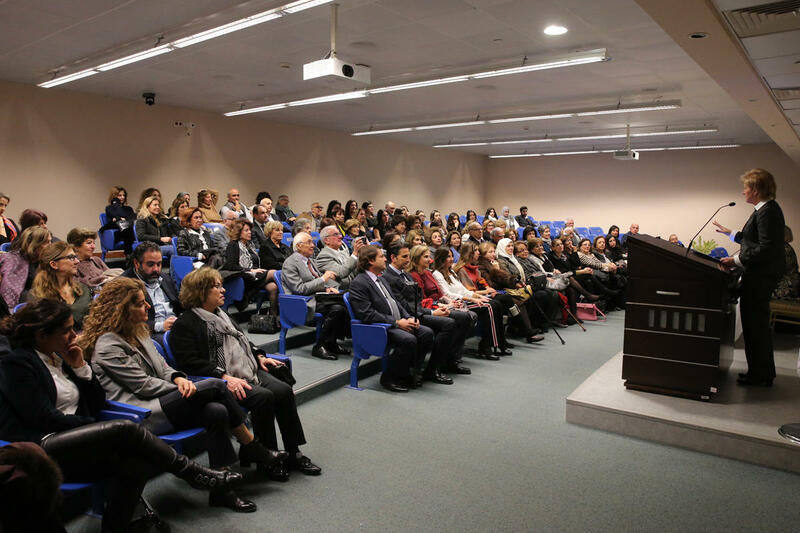 Copies of the thesis were distributed at the event.